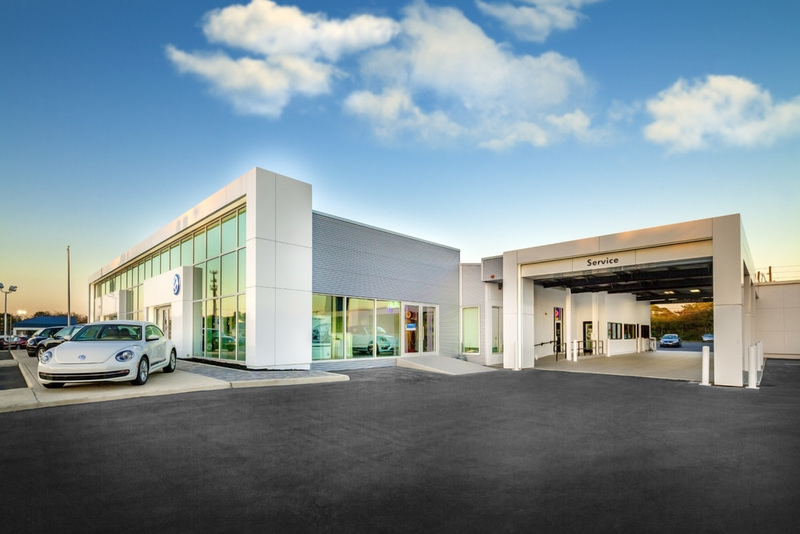 In 2010, Solstice designed the renovation of the Bob Boast Volkswagen dealership in Bradenton, FL, according to a specific set of specifications that were released for all VW Dealerships to follow. Our task was to align with these standards and design a building that communicates the excellent quality of cars, people, and business conducted in that space. During the design and renovation of Bob Boast Volkswagen, Solstice made a concerted effort to ensure that the final result had the polished finish of a completely new structure, instead of a renovation to an existing building. Without clunky "add-ons" or awkward substitutions, the final structure shows a smooth, graceful transformation, with every element aligned logically and elegantly.